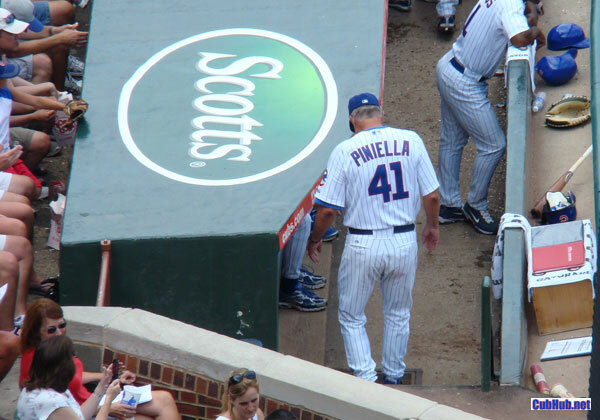 Lou Piniella has called it a career. 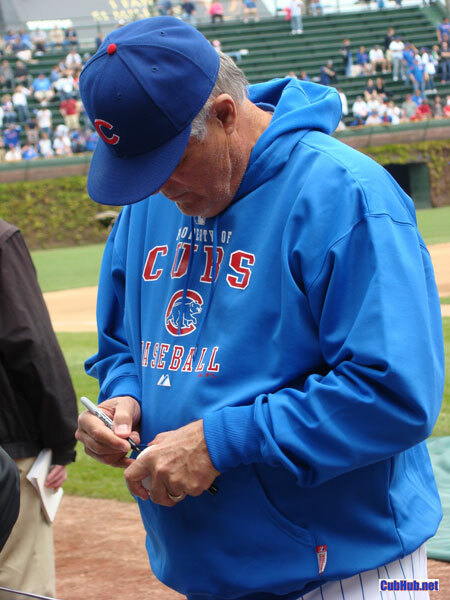 He came to Chicago saying this would be his final managerial job and yesterday morning it was announced he would retire following what would be a 16-5 drubbing by the Atlanta Braves, the exact same outcome from Cubs vs Braves on opening day this year. Ironic how that bookended the year for Lou. Reading between the lines a bit in Lou and Jim Hendry‘s comments on the matter, I wondered if the organization finally said enough is enough? Hendry said he and Lou had been talking about prematurely retiring for a few days leading up to yesterday. Lou said his family health situation required him to go back to Tampa again and it wasn’t fair to the club to leave again. So he called it quits. I just wonder if the suggestion didn’t come from Hendry. Now the Cubs organization can get on with the tasks in front of them. The managerial search can continue in earnest, players can be evaluated, and apparently replacement field manager Mike Quade can get an audition. It is worth noting Lou had about a million dollars left in 2010 salary that I assume he won’t be paid. So maybe that, along with the “salary relief” moves of Derrek Lee, Ted Lilly, Ryan Theriot, and lil’ Mike Fontenot will help the Cubs rebuild for 2011 and beyond? 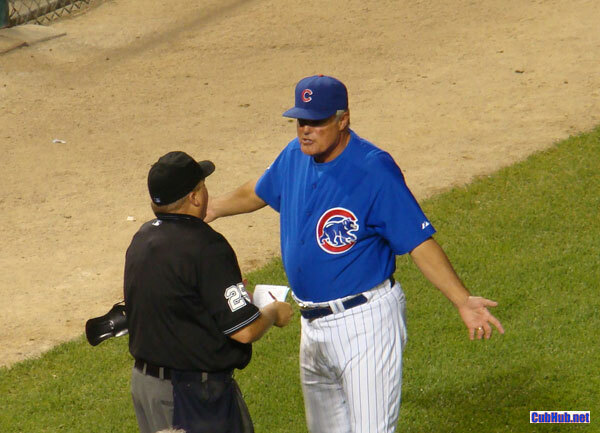 With Lou’s departure he takes with him a stellar managerial career and actually a good run in Cubs pinstripes as well. He had 3 winning seasons in a row, which no Cubs manager had done since Leo Durocher had a winning record 5 seasons in a row from 1967-71. Lou clearly started better with the Cubs than he ended. Many observers felt the aging Lou had lost his edge by this season and clearly his mind was elsewhere having announced this would be his final year and then resigning even earlier than that. 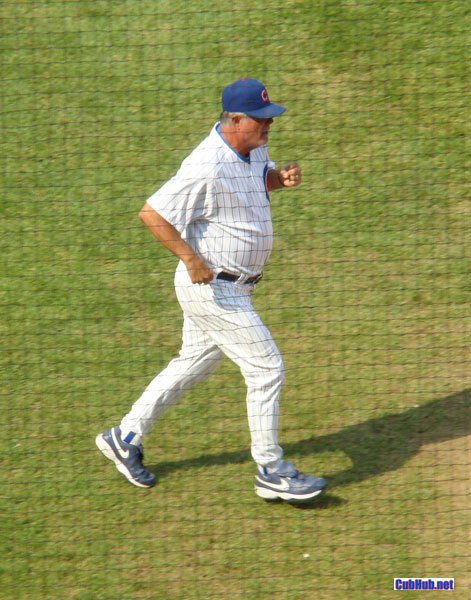 It’s worth celebrating the career of Lou Piniella more than his Cubs tenure. Three winning seasons out of four is a good start, but no bronze statues to Lou will be coming to Wrigleyville any time soon.